Helped by robots capable of operating in pirate-plagued and war-stricken waters, scientists have discovered that the dead zone in the Gulf of Oman is bigger than Scotland and has even less oxygen than thought, a report in Geophysical Research Letters said over the weekend. And it’s growing. 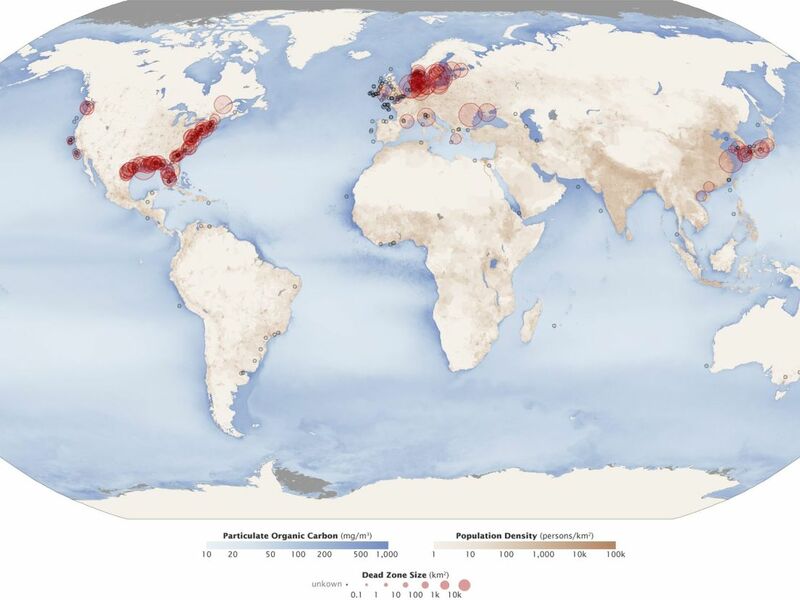 Dead zones fluctuate in size, depth, extent and more, depending on season, weather, water mixing – you name it. But now that research in the geopolitically delicate Gulf has resumed, the gravity of the situation has become clear. “The ocean is suffocating,” warns lead author Dr. Bastien Queste of the University of East Anglia. 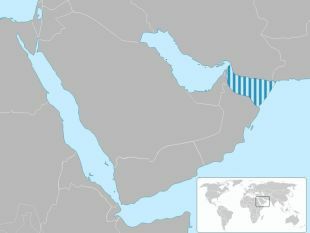 The Gulf of Oman isn’t actually a gulf; it’s a strait linking the Arabian Sea with the Strait of Hormuz. All fish, marine plants and other sea animals need oxygen. Global warming is exacerbating the deoxygenization of the seas. The nations affected by oxygen depletion in these waters include Oman in the south, Iran and Pakistan in the north, and the United Arab Emirates. The Gulf of Oman, in the Arabian Sea, had been known to harbor a dead zone for half a century. But research had been discouraged by the fear of death – and not by drowning. The gulf hadn’t even been on the list of “dead zone hot spots,” so to speak. Now the gulf waters have been analyzed after some 50 years of forced neglect, using man-sized submersible robots. The Omani dead zone’s sheer extent was a nasty surprise, and it was worse than models had predicted. “The region is now anoxic,” Queste told Gizmodo – and expanding: the Arabian Sea dead zone is now much closer to where people live, Queste reported, with researchers from the University of Southampton and Oman’s Sultan Qaboos University. Among other things, global warming is expected to affect the ventilation of the water – meaning how oxygen and carbon dioxide and other gases get mixed into the ocean interior. Crucially, the higher the surface temperature of the ocean, the greater the temperature difference with the cold depths; the rigidity of the stratification means that less oxygen and other gases mix in. The scientists deployed two robots – which can reach depths of 1,000 meters (3,280 feet) – for eight months. The machines communicated their underwater sampling of oxygen concentration and other information by satellite. Where the scientists had expected some oxygen, the robots found an area larger than Scotland – which is over 80,000 square kilometers in area – with almost no oxygen in the water at all. “Our research shows that the situation is actually worse than feared – and that the area of dead zone [in the Gulf of Oman] is vast and growing,” Queste said. Dead zones may occur naturally at between 200 and 800 meters in depth, Queste explains. “The Arabian Sea is the largest and thickest dead zone in the world. But until now, no one really knew how bad the situation was because piracy and conflicts in the area have made it too dangerous to collect data.” Hence the robots. 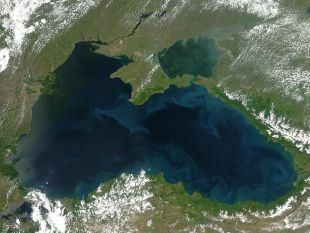 Dead zones can also be caused – or at least exacerbated – by runoff of fertilizer and sewage which leads to algal blooms. The ultimate death of all those algae cells, and local marine life, causes oxygen depletion in the water. The upshot is that while scientists expect a decrease in oxygen concentrations in the oceans as the world warms – the situation in the Gulf of Oman is expected to be worse than climatologists had thought. Why this is so remains subject to further study. But it’s also significantly affecting the oceanic nitrogen budget. “When oxygen is absent, the chemical cycling of nitrogen – a key nutrient for plant growth – changes dramatically,” Queste said. “Nitrous oxide, a greenhouse gas 300 times more potent than CO2 is produced.” Just what we didn’t need.